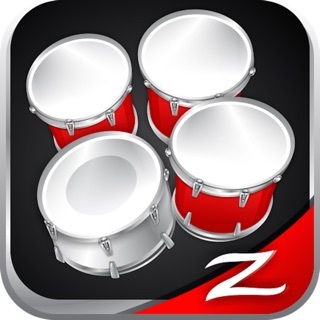 DrumKick for iPhone is the ultimate live performance drum app on-the-go! It gives you the freedom to play a great-sounding, intuitively laid-out drum kit anywhere—without the hassle of lugging your entire acoustic set to the show. Simply plug into a P.A. system, headphones, a boombox, or an amplifier, and you're ready to rock! – Connect to your Bluetooth-enabled laptop or device with MIDI over Bluetooth. – Core and Virtual MIDI support. – Audiobus & Inter-App Audio support. – Featured in Apple's Music-Making Apps for "The Song." 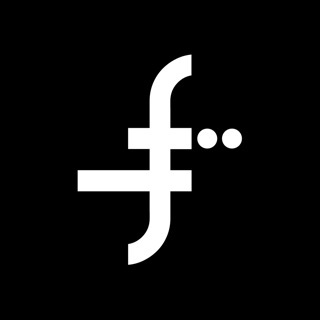 – Featured in Apple's Band In Your Hand showcase. 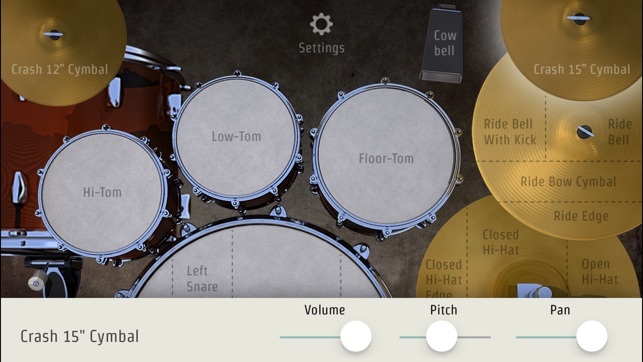 DrumKick is the only stereo drum app that allows you to play the kick drum with your foot! 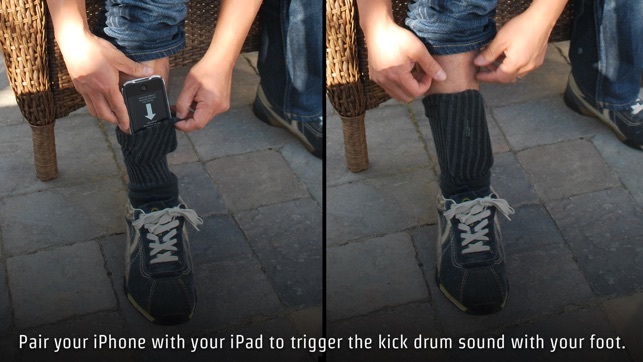 With DrumKick installed on two iOS devices, such as an iPad and an iPhone, you can use the iPhone as a Bluetooth remote to play the kick drum with your foot! It also works with two iPhones or iPod touches. Or, you can mix and match. Playing the virtual kick drum pedal is achieved by inserting the iPhone (upside down) into a snug fitness band that's wrapped around your ankle, or the front tube of your relatively clean crew sock. Tap your toes with your heel down, and the iPhone's accelerometer will trigger the kick drum sound on another iPhone or iPod touch via Bluetooth. 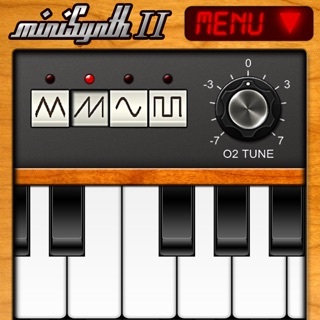 • Play the kick drum sound with your foot, using a second iOS device via standard Bluetooth connection. • High-quality drum stereo sounds with independent control of their volume, pitch and pan levels. • Low-latency with drum taps and sounds. • Retina-enhanced, interactive, 3-D animated drums and cymbals. 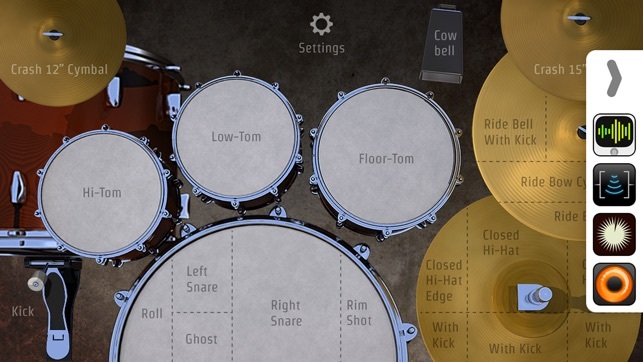 • Multiple tap regions for triggering different drum and cymbal sounds. • Ability to switch the drum kit's audio output from stereo to mono when connected to stereo speakers, such as a P.A. system. 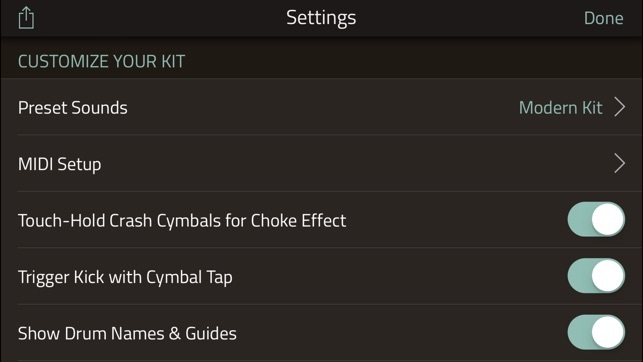 • Touch-hold on the crash cymbal for a choked cymbal* muting effect. • Audiobus & Inter-App Audio support (iOS7+) for adding effects apps to DrumKick's output and recording into to GarageBand, Loopy, or AudioShare. • Audiobus Remote triggers that you allow you to play DrumKick's sounds via a secondary iDevice with the Audiobus Remote app installed. Requires the Audiobus app, iOS 8.3 +, iPad 3+, and iPhone 4S+. https://audiob.us/remote. 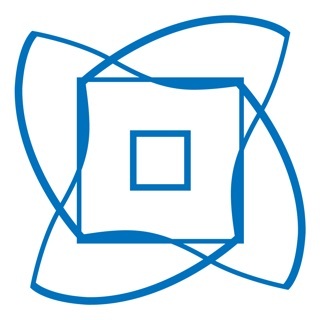 • Core MIDI IN & OUT support, thanks to Nic Grant of Audeonic Apps for his robust MidiBus Library. http://midib.us. • MIDI over Bluetooth support. • Play any of DrumKick's available sounds, using the iRig BlueBoard MIDI Bluetooth or KMI SoftStep foot controller. Requires Bluetooth LE-enabled iOS device such as the iPhone 4S, iPad 3, or higher. • Jam along with music apps that run in the background, such as GarageBand, Pandora, or your iPod music library. • Minimum requirements: iPad 2, iPhone 4S and newer devices are recommended. * No cymbals were harmed during the making of this app. • Missing UI panel for controlling the playback and recording from an Inter-App Audio connected app. • Support for MIDI over Bluetooth LE. • Added missing Ride Edge and Crash 15" MIDI input note numbers. • Updated Audiobus SDK 2.3.1. • Minor bug fixes to the MIDI settings UI. 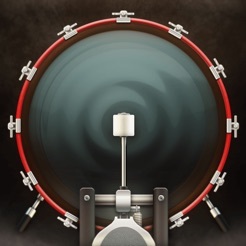 This great drum app looks and sounds awesome! It's a cool feature to be able to put the phone in my sock and then play the (drum)kick while playing on the iPad via Bluetooth. And now it has AudioBus support! Sweeet! Great app, connects to the iPad via Bluetooth quickly and it is just so much fun to play the bass drum and cymbal with the iPhone in my sock or on the floor with bare feet. Fast response from the developer who fixed the MIDI in issue with some of the notes. It works great, now.